Today a monumental parliamentary debate will be held at the House of Commons on whether or not puppies should be sold at pet shops. First, I'd like the thank everyone (and you know who you are!) who lobbied their MP to attend and contribute to the debate. I sincerely hope all of your hard work pays off and we enjoy a good turnout of MPs who fight our corner and give animals a voice in parliament. Naturewatch Foundation Campaign Director, Jennie Rudd, will be attending the debate in the public gallery. We are also delighted that Cheltenham's MP, Martin Horwood, who has always been very supportive of our work to help animals, will also be attending and, hopefully contributing to the debate. The debate was tabled by Rob Flello MP (Stoke-on-Trent South, Labour) following PupAid’s e-petition that received over 111,000 signatures. Banning the sale of puppies from pet shops would be a substantial step in the right direction. Together with online sales and free newspaper adverts, these are the three most widely used outlets used by puppy farmers to sell their puppies. They each enable puppy farmers to sell their puppies anonymously, without offering the opportunity for purchasers to see the puppy with its mum in a caring, social environment and more often than not, promote spontaneous purchases that lead to later abandonment. 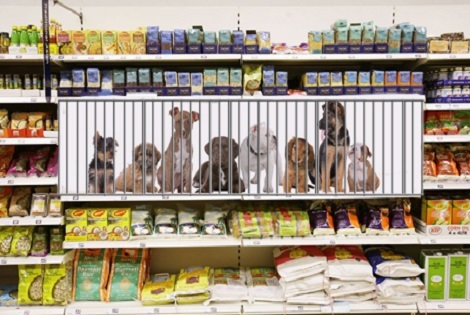 In a nutshell, pet shops, online sales and newspaper adverts all encourage puppy farmers to freely and irresponsibly over-breed puppies without a care for their welfare, health, behavioural needs or over population. The only way to stop these puppy farmers is to stamp down and introduce much tighter legislation governing the sale of puppies. Simply put, if they can't sell their 'stock', they won't produce them. This debate is just the beginning. We want to see a ban on the sale of puppies in pet shops, but furthermore we want all online and newspaper adverts selling puppies to require a reference number issued by the local council, which can only be obtained by responsible puppy breeders. Naturewatch Foundation will continue to fight for this and we hope you will join us because we can only make this happen with your support and enthusiastic lobbying. And there's more, but we can't tell you about this yet. We have a lot up our sleeve and promise to reveal all as soon as we can... Watch this space!